You’re at the supermarket shopping for tonight’s spicy stir-fry dish when you’re faced with a choice. An unblemished red chilli, or one with a black spot on it. Which one do you buy? If you pick the former, it’s little wonder disease control is a concern to Australia’s $8.6 billion horticultural industry. And when it comes to chillies, in particular, it’s anthracnose that growers worry about, in Australia and other countries. The fungal disease not only reduces yield out on the farm, but also creates large sunken black spots on the fruit that, while not unsafe to eat, are not palatable to the average consumer. At the moment, anthracnose is managed in Australia with the use of fungicides, but the control plan might need to be upgraded following the discovery of a swathe of new anthracnose-causing pathogens. Researchers at the University of Melbourne has identified four new pathogens – all of the Colletotrichum species – previously undetected in Australian chillies. One of them has never before been found anywhere in the world. It raises important new questions about how to better protect Australia’s horticultural industry, particularly given chilli anthracnose is an easily transmittable disease among other fruits and vegetables. “Before this study, there were only two species of Colletotrichum thought to cause anthracnose of chilli in Australia and eight overall worldwide,” said co-author Professor Paul Taylor, from the Faculty of Veterinary and Agricultural Sciences. “The identification of four new ones is a clear signal we need to be keeping a much better watch on the status of disease-causing pathogens in the industry. Professor Taylor, a renowned expert in plant diseases, and PhD student Dilani de Silva, analysed infected chilli fruits from southeast Asia and Queensland – the main hub of chilli (Capsicum annuum) production in Australia. 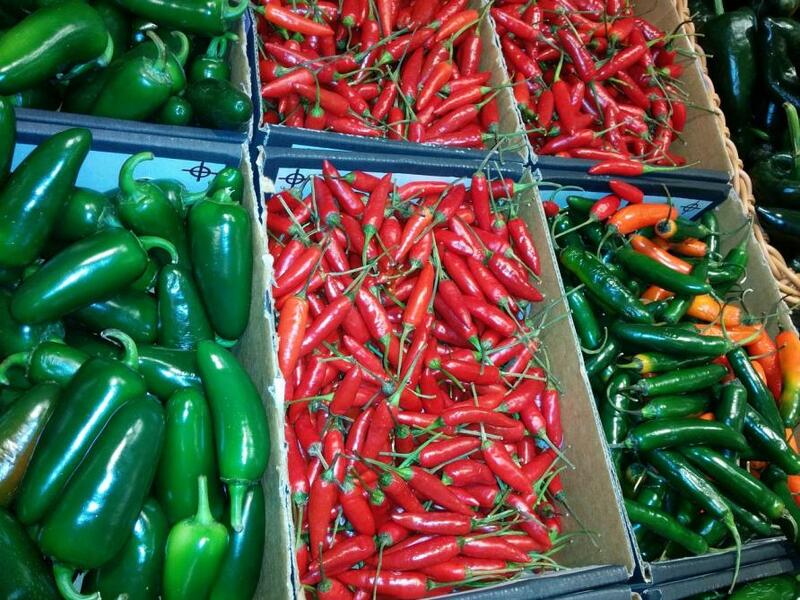 The state alone yields about 40,000 tonnes of chilli and capsicum across 1,722 hectares each year. Working in a quarantine laboratory and using a combination of molecular techniques and classical taxonomy, the research team identified and described a new Colletotrichum species for the first time. Its appointed name, C. cairnsense, alludes to where the chilli was from. They also identified three new Colletotrichum species (C. siamense, C. simmondsii and C. queenslandicum) that have been detected in papayas and avocados, but never before in Australian chillies. The discovery is important on several fronts. It’s a valuable contribution to Australia’s biosecurity defences, which needs to be able to identify plant diseases before they can stop their importation or in the case of the Australia-specific C. cairnsense, their exportation. Professor Taylor is currently developing a molecular PCR-based detection system that will make it easier for quarantine departments to identify pathogen species both quickly and accurately. Identifying new pathogens also strengthens efforts to build resistance in chilli plants, as growers consider mitigation methods separate from the use of fungicides. “One of the reasons this disease is so hard to control is the lack of the resistant chilli varieties and the fact that the pathogen is a complex of species made up of at least eight Colletotrichum species around the world,” Professor Taylor said. 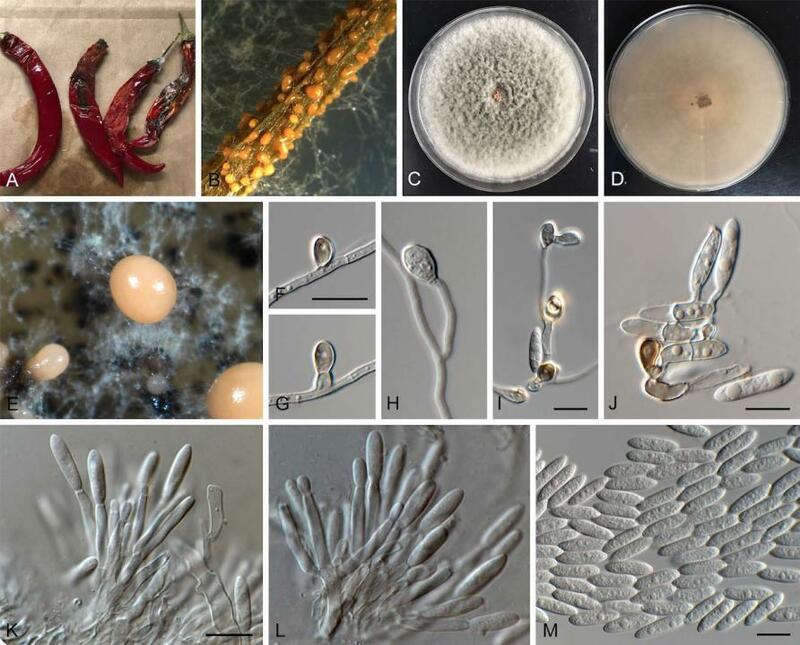 On the plus side, the study - published online in the journal Plant Pathology on July 25 - found no evidence in Australia of a particularly dominant species of chilli anthracnose – C. scovillei. Ms de Silva identified this – and several other species – in chillies from Indonesia, Malaysia, Thailand and Taiwan, pointing again to the need to maintain strict quarantine procedures. C. scovillei would be an unwelcome visitor to the Australian produce industry, Professor Taylor said. Professor Taylor has researched anthracnose disease in chillies for about 15 years and regularly travels to southeast Asia to inform local growers and authorities on the best mitigation and biosecurity measures. He hopes to see more expansive surveying of pathogens not just in Australia, but also neighbouring countries, to ensure diseases can be contained and controlled to the best possible level. “In the field, the transmission of the pathogens from infected to healthy plants mainly occurs by wind or rain splash of the fungal spores that form in the lesions, and also from infected seed,” Professor Taylor said. “That’s why the spread of anthracnose pathogens is so hard to contain.